Made of 100% pure copper metal, the copper Trinetra tea-light holder measures 5.0" inches in length, 2.5" inches in width and 2.75" Inches in height. 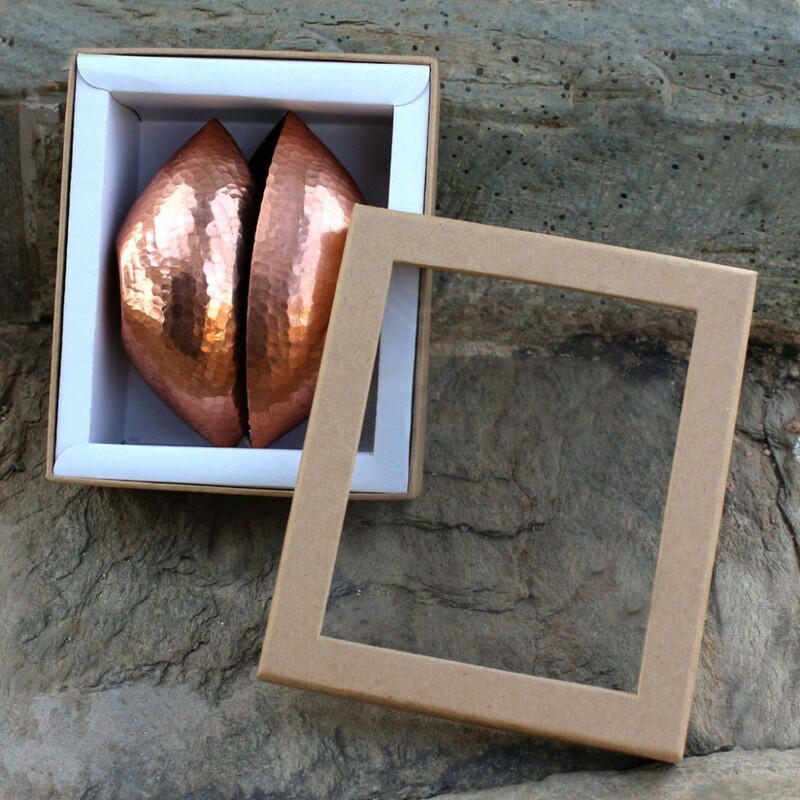 A lifestyle and utilitarian copper object, it is ideal for lighting up longer evenings, this tea light candle holder is an eye-catching but inexpensive way to light up your dining table, give your bedroom a romantic makeover or add a delicate, decorative touch to your living room. 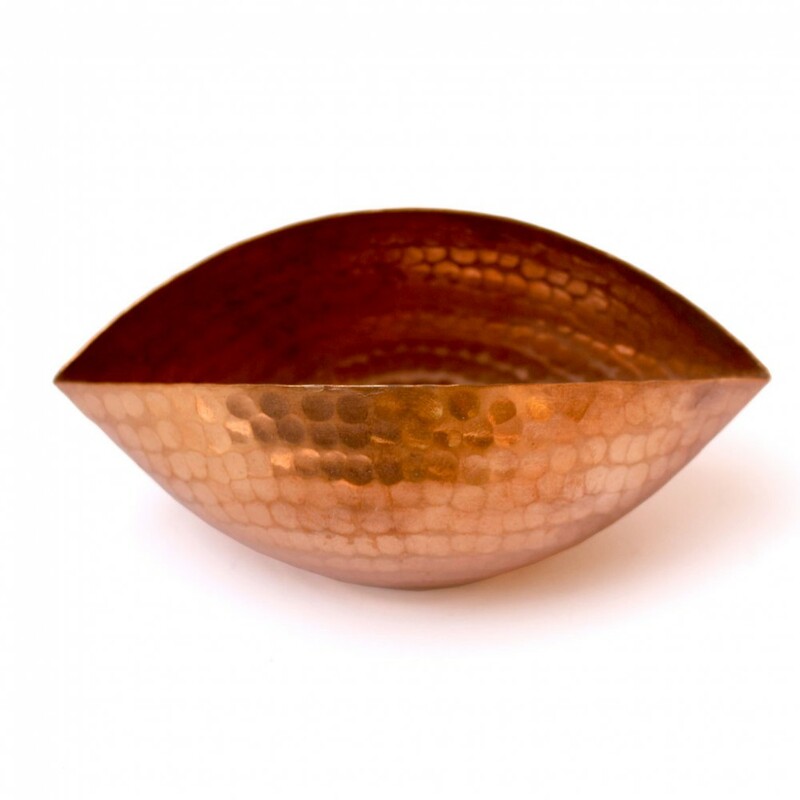 Using handmade tools, this exquisite copper tea-light holder has been crafted by skilled artisans from India. 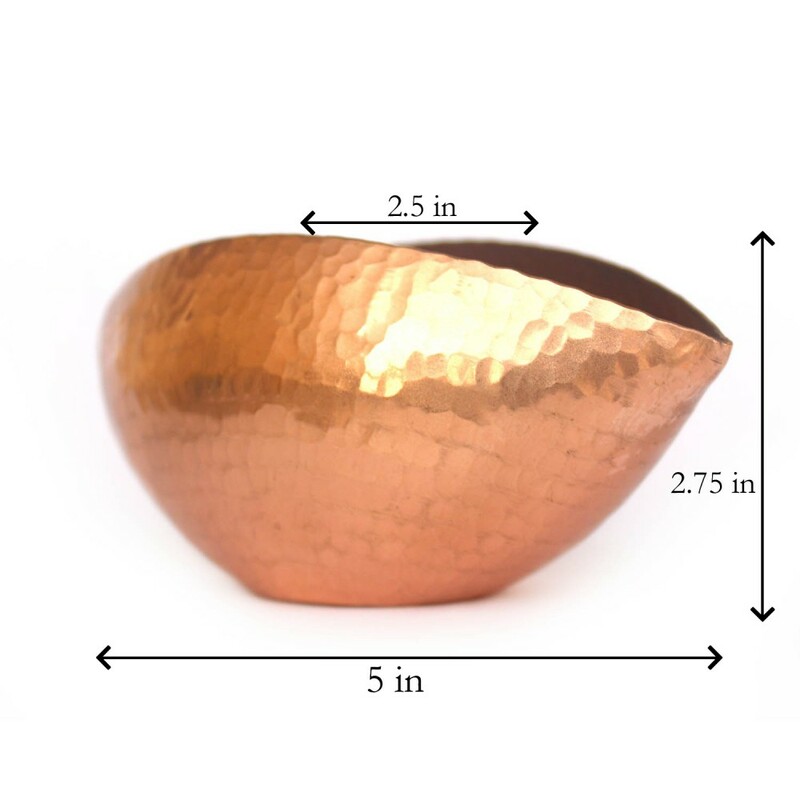 This product is eco-friendly, highly durable & corrosion resistant. The surface finish of this handcrafted utensil will remain the same for decades to come. 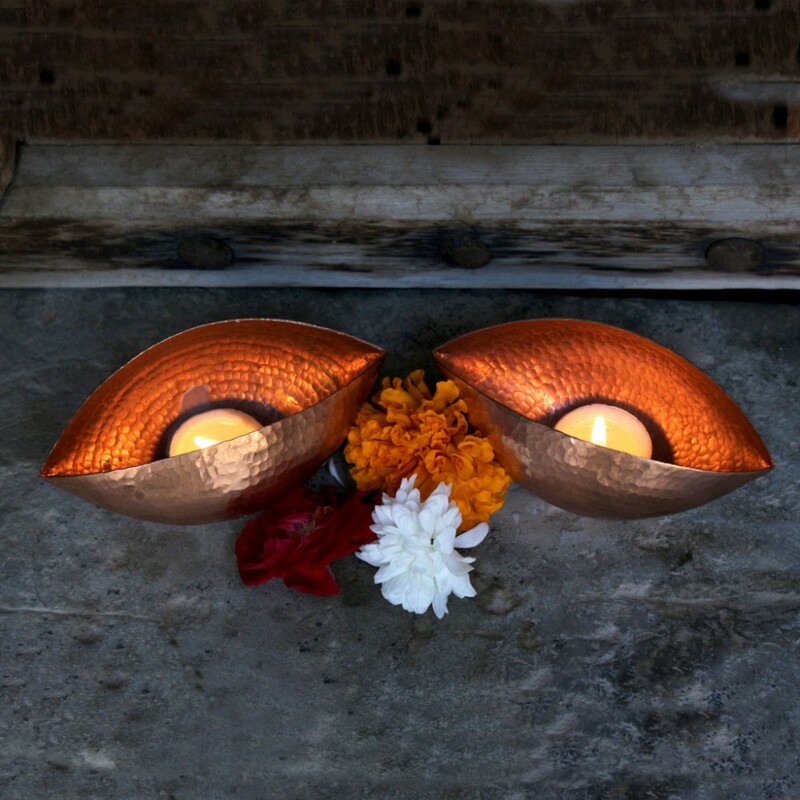 This product supports and empowers a landless Hindu artisan community called 'Thathera' of Rajasthan. It preserves the rare craft of hand hammering metal in India. 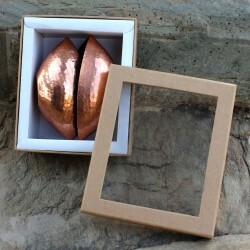 This community is also involved in metal artwork like brass, bronze, aluminum, and copper. Quality satisfaction and timely delivery are assured. Made in India, this is a brand new hand hammered copper tea-light holder.